To celebrate the 100th anniversary of Hans J. Wegner, Paul Smith and Maharam are collaborating with Danish furniture manufacturer Carl Hansen & Søn on a Limited Edition Collection. 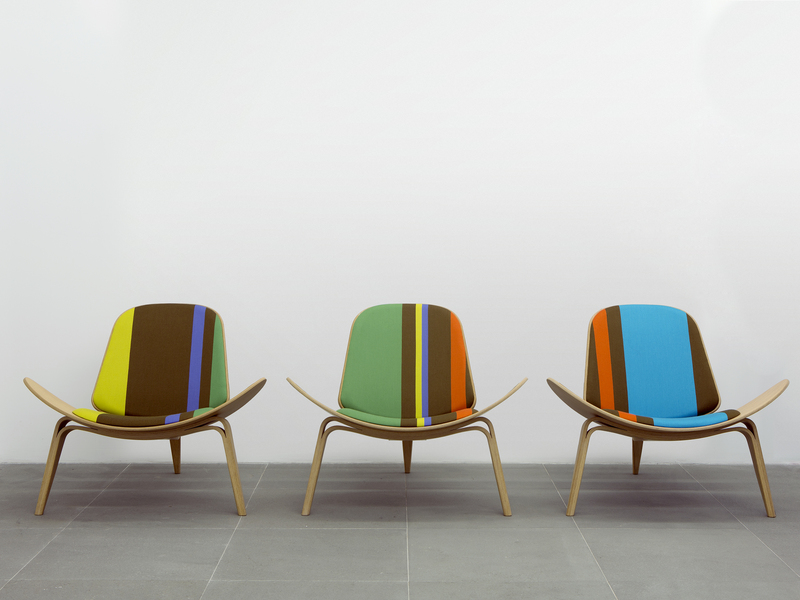 Applying the new textile Big Stripe and Stripes by Paul Smith to the iconic Shell Chair and other furniture from Carl Hansen & Son gives a bold injection of colour to these classic Wegner designs. This entry was posted on January 30, 2014 by Chef de Cuisine in Home Collections, Uncategorized and tagged Paul Smith.